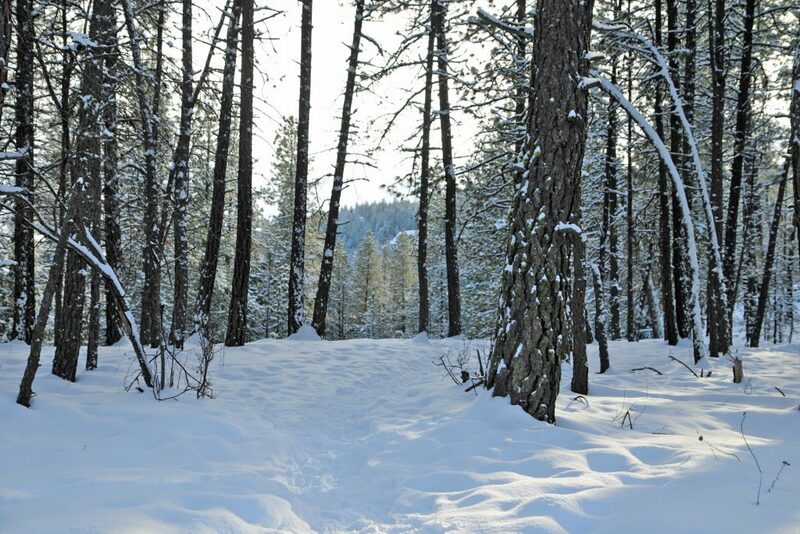 Snowshoeing is a great way to get outside in the winter! It’s easy to catch on, after all, we already know how to walk. It’s also relatively inexpensive. Just like any activity, you can spend as much or as little as possible, but once you already have poles and snowshoes, you are set. I have had friends who were handed a pair of snowshoes from people who don’t use them anymore. Others who went to a yard sale and pick some up for cheap. Some go to big box stores while others visit a sporting goods store and get specialized equipment and having name brands hanging everywhere. I just encourage people to find what makes them happy and enjoy nature. Here is my 11 Snowshoeing Tips you need to know! 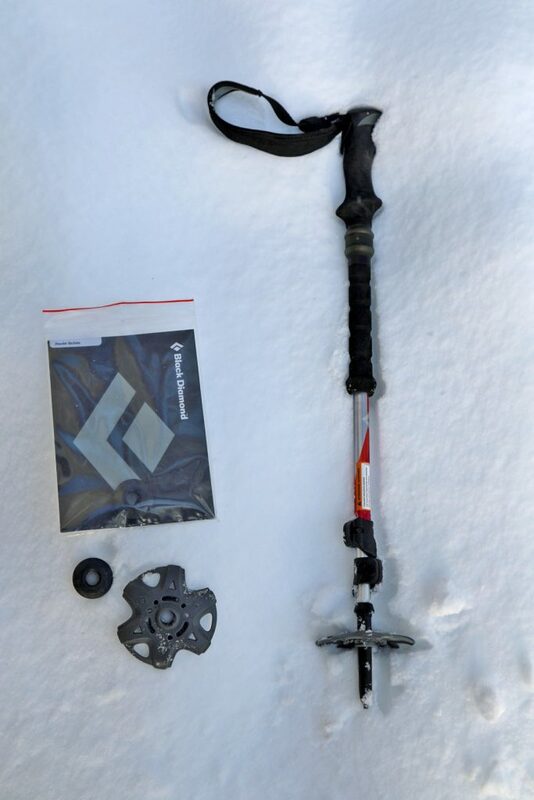 Photo Above: MSR Evo Ascent Snowshoes and Black Diamond trekking poles with Black Diamond Powder Baskets. Start off easy: Have fun on your first trip! Take this time to get used to walking with snowshoes, learn techniques and try different equipment to see what works best for you. Check the weather before going: Avoid poor weather conditions. Knowing the weather will also help to know what to wear and most importantly when is sunset. Rent/borrow equipment a few times before buying: Find out what you like and don’t like first. 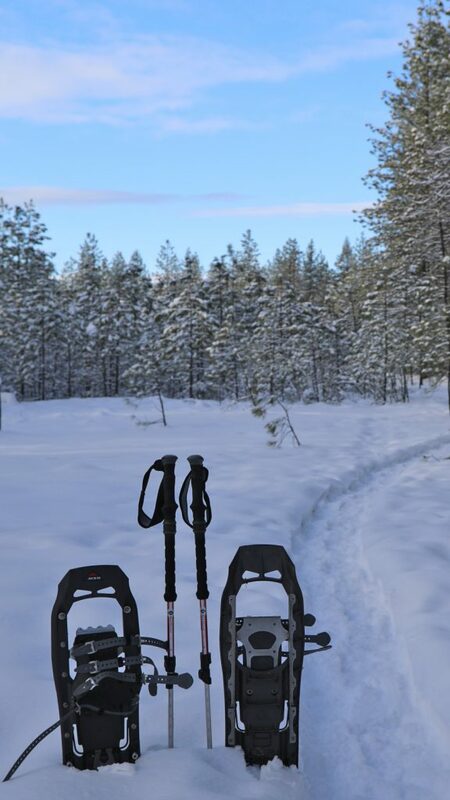 It’s much better to spend $10-$15 to rent some snowshoes that just don’t feel quite right compared to few hundred dollars to get the gear you wish was different. Some people go only once or twice a year and find it easier not to have extra stuff lying around the house. Familiarize yourself with using hiking poles: Hiking poles help with balance and pulling yourself up from a fall. I prefer adjustable poles. This way you can shorten going uphill, lengthen for downhill or adjust one shorter and one longer when traversing sideways on a slope. The key to a proper fit in your arms should be to your side and your elbows at a ninety-degree angle for a proper fit. Stay Hydrated: Snowshoeing is a physical activity! Our muscles work best when they are hydrated. Staying hydrated also helps fight off hypothermia. Practice getting up from the snow before you go. I know this sounds funny but can happen. It also feels clumsy with snowshoes on and especially with soft snow and several layers of clothes. The best way to get back up is to take your hands out of the pole straps, roll yourself and get your knees underneath you and if on a hill pointed upslope then use your poles to stand back up. Don’t try to walk backward: If you decide to do so anyway then be proficient at picking yourself up from the snow. Outer Layer Jacket and pants should be waterproof and able to fend off the wind. Wear a hat: We lose the majority of our body heat from our head, so this can be critical. Wool or synthetic blend Hat or balaclava retains heat and something with a brim can keep the sun out of your eyes on a bright sunny day. Gloves: I personally always carry two pairs with me. The first is a fleece glove that does a great job keeping my hands warm. I also carry Ski Gloves too and work great if I need to double layer. Go Prepared. Always carry the ten essentials for outdoor survival, practice the buddy system, always let someone know where you will be going and when you plan to return and if you are going backcountry or avalanche prone areas the carry an Avalanche Beacon, probe, and shovel and know what to do in an avalanche. Wear Sunglasses, sunscreen and lip balm. It may not be the beach, but the sun sure can be bright in the winter, especially reflecting off the snow. The wind can easily cause your lips to chap also. Now there are no more excuses for the winter blues! It’s time to get some Vitamin D and enjoy the great outdoors! 11 Snowshoeing Tips and tricks to get your prepared for your first snowshoe trip. Don’t forget to bring the 10 Essentials with you when you head out on the trail!